A Review of All 2018 Changes. This 75-minute webinar lets your SBA lenders earn e-certification. The major rewrite of SBA’s Standard Operating Procedure includes numerous changes to SBA’s 7(a) and 504 lending programs effective January 1. Coleman webinar instructor and former SBA Deputy Director of the Little Rock Commercial Loan Center, Lance Sexton will review and walk you through all the changes in this professional, concise presentation. Removed the requirement for 25% equity injection when intangibles exceed $500,000 in change of ownership loans. Increased the percentage of loan proceeds that may be used to purchase land from 20 percent to 33 percent for the Builder’s CAPLine. Clarified the eligible uses of loan proceeds for farm enterprises. Revised policies regarding debt refinancing for SBA Express, Export Express, and EWCP Lenders. Clarified the Loan Program Requirements for change of ownership loans involving Employee Stock Ownership Plans or equivalent trusts. Updated eligible uses of proceeds for Export Express. Clarified guidance regarding maximum guaranty amounts for combination of 7(a) and 504 loans. 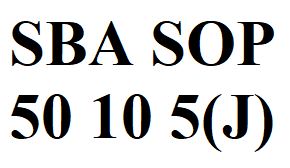 Revised the requirements for SBA Express Revolving loans to include a term-out period. Clarified EWCP maturities for Single Transaction-Specific loans. Clarified that the Note terms for variable interest rate loans must include the first adjustment date by either stating a specific date, or using the final disbursement date to determine the timing. Clarified the guidance regarding allowable fees for packaging and other services. Revised the guidance on how and when the guaranty fee must be paid for loans with short term maturities and the circumstances under which a refund will be provided to the Lender. Moderated by Bob Coleman, the Author of “Money Money Everywhere and Not a Drop for Main Street.” He is the founder of the Coleman Publishing, a publisher of books, data, newsletters and reports and a producer of conferences, webinars and training videos — to help finance professionals become small business lending experts. 1) Previous customers need only to send an email to joseph@colemanreport.com with “Register Global SOP 50 10 5(J)” in the Subject Line. We will do all the paperwork and charge your credit card on file, or send you a PayPal request.